Instagram is a fantastic way to chart your life and show off your photography skills 18 Creative Photography Ideas for Beginners to Improve Their Skills 18 Creative Photography Ideas for Beginners to Improve Their Skills Coming up with photography ideas can be tough for beginners. These 18 creative ideas will help you find a photography subject in no time! Read More . If you feel particularly artistic, apply a filter How Instagram Filters Work, And Can You Tell the Difference? How Instagram Filters Work, And Can You Tell the Difference? Here you'll find everything you need to know about what each Instagram filter does, what it's best used for, and some great examples for you to look at. Read More and your memories will be given a sepia hue. But since Facebook’s acquisition of Instagram in 2012, some users have gotten suspicious. 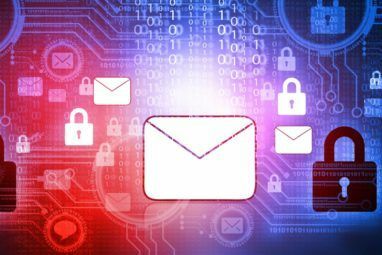 While it isn’t a malicious social network Popular Apps and Games That Threaten Your Mobile Security Popular Apps and Games That Threaten Your Mobile Security As the saying goes, "If you're not paying for a product, you ARE the product." That's especially true for apps, which are often not secure. So what can you do about it? Read More , it’s entirely believable that Instagram is spying on you. A recent addition to the Instagram app Instagram Now Shows Your Activity Status By Default Instagram Now Shows Your Activity Status By Default Instagram has quietly introduced a new feature to the app which means people can see when you were last active on Instagram. This feature is enabled by default, but it's easy to disable it. Read More is decidedly worrying — particularly because it’s enabled as default. It allows your peers to see when you last used Instagram, including if you’re using it while they’re also online. That doesn’t seem too concerning at face value, and it fortunately only applies to the accounts who follow you (i.e. your accepted list of friends). However, Instagram is tracking your daily habits 3 Daily Habits That Make a Huge Difference to Your Day 3 Daily Habits That Make a Huge Difference to Your Day Life's good at blindsiding you every now and then. With a few simple strategies, you can become adept at handling all of life's uncertainties with aplomb. Read More , and could allow others to do so too. By paying attention, an onlooker can note down when you’re most active, and correlate these instances with the appropriate photos. Let’s say you took a photo of yourself queueing for the bus. You then sign into Instagram at a similar time for consecutive days. Add in the fact that you use social networks whenever you’re bored; in this case, when you’re waiting for public transport. This is a sign to your followers that you’re out of the house Going on Vacation? 7 Ways to Secure Your Home for Under $30 Going on Vacation? 7 Ways to Secure Your Home for Under $30 Buying smart tech can be costly business, but if you're going on vacation and want to keep as much cash as possible as spending money, you'll need some budget home security solutions. Read More at the same time every day. Worse still if you’re stacking up pictures of yourself on vacation 6 Smart Home Gadgets You Should Install Before Leaving For Summer Vacation 6 Smart Home Gadgets You Should Install Before Leaving For Summer Vacation When you leave home for vacation, these six smart home products will prevent the damage done by fire and flood, protect you against any burglars, and are absolutely worth the money. Read More . Try it for yourself. Check out your messages, and alongside the names of folk you’ve talked to before, it’ll tell you when they last logged in. Or if they’re signed in at the same time as you, it’ll say “Active”. What can you do about it? Fortunately, now that you know about it, you can turn this off How to Turn Off "Last Online" on Instagram How to Turn Off "Last Online" on Instagram Instagram has a new feature that lets others know the last time you used the app. Here's how to disable that and regain some privacy. Read More . Just go to Settings and change Show Activity Status to “off”. And warn your followers too: as this is now default, many will no doubt be carrying on as normal. Similarly, specific locations can be troublesome when uploaded to Instagram. As a safety measure, social media sites such as Instagram, Facebook, and Twitter remove EXIF data when publishing content What Is EXIF Data? 3 Ways to Remove Metadata From Photos What Is EXIF Data? 3 Ways to Remove Metadata From Photos Most cameras embed hidden information ("metadata") in photographs taken. For privacy's sake, here's how to remove that metadata. Read More . This metadata can include what device was used to take the photo, resolution, and time it was taken. There’s no way this EXIF data can be retrieved once deleted, thankfully. That doesn’t mean Instagram doesn’t know your location. First of all, you can choose to share where you are Geotagging Photos: What It Is & Why You Should Start Right Now Geotagging Photos: What It Is & Why You Should Start Right Now Geotagging is simple and there are many reasons why you may want to start doing it. Here's everything you need to know, including how to add and remove your own geotags. Read More ! Once adding a photo, you can click Add Location, search suggestions, then tap Share. This might seem especially cool if you’re sipping cocktails in Molokai or think people should know that the Eiffel Tower is in Paris. Otherwise, you might have given Instagram access to your GPS on your smartphone or tablet. Heck, Instagram Stories also encourages you How to Use Instagram Stories Effectively: Basics, Tips, and Tricks How to Use Instagram Stories Effectively: Basics, Tips, and Tricks Instagram Stories is the photo-sharing giant's take on Snapchat. The purpose is to add a new layer of fun to your images and videos. Here's everything you need to know. Read More to hashtag where you are. Again, you’re signalling that you’re away from home. That’s madness. You’re advertising your absence. Once more, you can try it for yourself. Take a look at iknowwhereyourcatlives.com. This is a seemingly-whimsical site that demonstrates how easily you can access online data. It’s also very cute. What can you do about it? Just be a bit smarter with what you’re tagging, considering what sort of message it might give strangers. If you use the Instagram app, make sure it doesn’t have access to your GPS How Does GPS Tracking Work and What Can You Track With It? How Does GPS Tracking Work and What Can You Track With It? GPS. We know it as the technology that guides us from A to B. But GPS is more than that. There is a world of possibility, and we don't want you to miss out. Read More . On iPhones, for instance, go to Settings > Privacy > Location Services. On Android devices, click General > Settings > Location. Toggle which apps can see where you are. Do this anyway. Now. Because it’s always a good move. While you’re checking out location settings, it’s worth keeping an eye on which apps can search through your contacts. Photo by @radianthuman_ Christina Lonsdale (@radianthuman_) wants to film your vibrational frequency — better known as your vibes. Four years ago, the visual artist based in Portland, Oregon, started Radiant Human: a touring aura photography project. With a dome studio and a custom-built camera attached to magnetic plates, which subjects rest their hands on, Christina translates vibrational frequency into colors on instant photos. “We all want to know more about ourselves, because ultimately that’s what makes us happy,” says Christina. “That’s really where a lot of the magic of this project comes from – people knowing something new about themselves, that they have a special color, that they’re creating something special, every day, all the time. They’re radiating it.” Watch our story now to see Christina’s aura portrait process. Many do this non-maliciously, merely as a means of establishing a network of friends. It’s a simple way of finding out which mates have Instagram. But you’re allowing the app to see all the folk whose details you have. 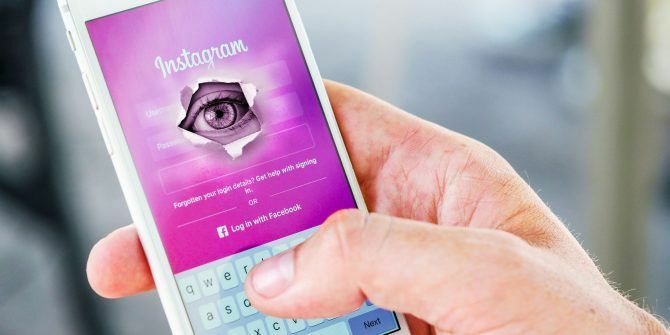 Similarly, you could link your Instagram account with Facebook How to Disconnect Your Instagram Account From Facebook How to Disconnect Your Instagram Account From Facebook Linking your Instagram and Facebook accounts has a lot of advantages, but if you want to unlink them, here's how. Read More — letting the two apps share limited data. 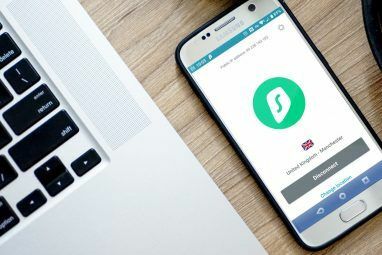 Instagram admits to sharing information with companies that are part of the same group or are signed up as affiliates. This can be used to “provide personalized content and information to you and others, which could include online ads or other forms of marketing.” Its intent isn’t insidious, but you have to question whether you want private data in the hands of another company. What can you do about it? The option to access your contact list speeds things up, but it’s not essential. The app does it by default, though, so you’ll need to disable this by going on your Profile, then tap on the ellipsis; followed by Contacts. Next, click on the cog and then Disconnect. You don’t have to sign in with Facebook either. You can simply search for friends. Alternatively, you can do it the old-fashioned way: ask them if they have Instagram accounts! It’s no shock to see advertisements popping up How to Disable Google's Personalized Ads How to Disable Google's Personalized Ads It's no secret that Google presents personalized ads to you based on your browsing history. If that creeps you out, then here's how to disable it once and for all. Read More for products you’ve searched for previously. This is achieved through cookies stored on your PC. It may surprise you if personalized ads start promoting items you’ve only talked about. None of this is confirmed, but there was worry a little while ago about social media accessing the microphone Does Your Phone Listen to You for Ads? (Or Is It Just Coincidence?) Does Your Phone Listen to You for Ads? (Or Is It Just Coincidence?) Your phone has a built-in microphone, but is it listening to you? Is your smartphone sharing your secrets with Google or Facebook? Read More of your smartphone or tablet and listening in to conversations. People have begun to notice that their discussions are materializing as promotions. Photo by @mariesaba This sweet treat was constructed in response to a creative block. “During those times, I often look to Instagram (#WHP or #myinstagramlogo) as a source of inspiration,” says Marie Saba (@mariesaba), from Austin, Texas, who loves to cook and bake. “Pablo Picasso once said, ‘Inspiration exists, but it has to find us working’ — and I fully agree.” Today, we’re celebrating Instagram’s seventh birthday with this #myinstagramlogo from Marie. As Instagram evolves and grows, we’re constantly amazed by the creativity of our diverse and inspiring community. Thanks for being you. ?? It’s important to note that Facebook, the parent company of Instagram, denies this is happening on its platforms. It states that it blocks brands from advertizing based on data collected via mic. Indeed, this could all be an odd coincidence. What can you do about it? You probably gave apps access to your device’s mic when installing. Most do. For iPhone users, go to Settings > Privacy > Microphone; Android users can get a greater list of what an app has asked to access by going on Settings > Apps, then finding Instagram and switching to the Permissions tab. From there, you have control of what it can see. Let’s give Instagram its due credit: it’s a comparatively private social network. Yes, it has access to your camera roll — that’s literally the whole point of it You Can Now Post Multiple Photos on Instagram You Can Now Post Multiple Photos on Instagram Instagram is finally letting ordinary users share multiple photos in a single post. This means you'll no longer need to pick that one perfect shot worth sharing on Instagram. Read More — but at least it doesn’t automatically prompt you to add all your images. In fact, it can only see the pictures from the past 24 hours. And even then, your followers can’t see the stuff that remains on your device. Additionally, you can archive past photos, meaning Instagram acts as a fine photo storage system allowing you to hide anything you don’t want others to view. There are, of course, other means of spying on Instagram. Tracking software is typically altruistic: Blockers Spy for Instagram lets you see which accounts you’ve followed The 10 Most Followed People on Instagram: Should You Follow Them Too? The 10 Most Followed People on Instagram: Should You Follow Them Too? This is not our top 10 of Instagram. It's actually the top 10 accounts based entirely on the number of followers each one of them has. Do they merit the hype? Should you follow them... Read More have reciprocated; Spyzie allows device-wide tracker as a form of parental control. Still, they can be used for nefarious purposes. Generally, as long as you manage your permissions and take necessary precautions when uploading images Do I Own My Photos and Posts on Facebook, Twitter, and Instagram? Do I Own My Photos and Posts on Facebook, Twitter, and Instagram? When you post a photo, a status update, or anything else on social media, who owns the copyright? Is Facebook or Twitter free to do whatever it wants with your pictures? Read More , Instagram is a neat place to store and share your photos. Are you wary of Instagram? Or are you happy to embrace the social network? And have you noticed apps listening in? I’ve noticed after I go and buy certain items their brand will pop up in my ads. Quite skeptical, not sure if it’s a coincidence or not. Anyone else have this problem? Can Instagram somehow track your purchases? Not a coincidence. I wouldn’t put any activity past the reach of Instagram or any of Facebook’s companies at this point. I deleted Facebook recently, thinking that data from my browsing while signed in to Facebook was being shared with Instagram and that’s why I was seeing my latest interests show up in Insta ads. I’ve just checked Insta again after a long break from it and the ads are now about things I’ve only started looking into within the past week or so. I deleted Facebook weeks ago - must be close to a month ago now and I haven’t logged back in. Just like this article said, Instagram is 100% tracking your activity online through its own cookies.